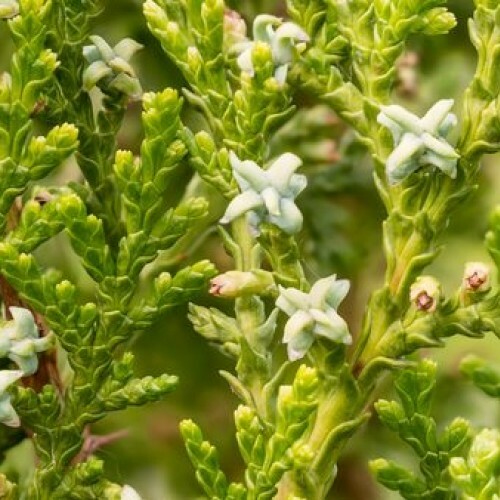 Hailing from the cypress family, the foliage of this plant has a nice fragrance and stately appearance plus tolerates alkaline dry soils where few evergreens survive.This is a select northern ecotype found in Wisconsin. Very winter hardy and tolerant of adverse weather conditions including hot, dry areas and alkaline soil. Unlike the ornamental selections of this plant Wisconsin grows to 40 ft. or more plus they retain their lower limbs and foliage. It stays green throughout most winters with some purple coloration in windy locations. Space 5-10 ft. apart for a dense hedge or 20 ft. apart for a wind 'filter'. Trees will tend to grow long and tall averaging 18 inches per year for the first 5 years. 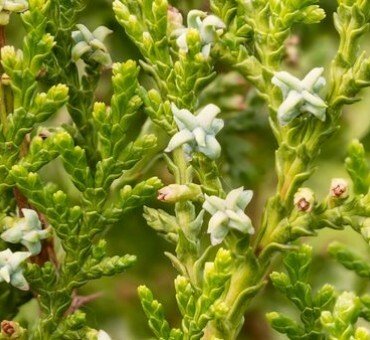 The oils from this plant are being used as a hair loss remedy showing some promise in mice studies. Special thanks to Steve from Wisconsin for sending us seed of this strain many years ago. On deer browsing resistance: Our initial planting of 10 trees showed zero damage for more than 15 years. About 3 years ago the plants were browsed to various degrees. I would say maybe resistance is a good term but not immune depending on the location. If they were American arborvitaes they would be little nubs. Deer love those. Dry sandy loam or loam. Does not have to be acidic like other pines. Super easy. One of the few trees where losses are always a zero.